If you want to grow your business it will take more than simply adding more sales people to do the trick. While sales people are part of the process, they alone can not do it all. Any growing business requires a complete sales engine to move it to the next level. Any complete engine includes a solid marketing plan, lead generation tools, sales people (closers), a product or service delivery engine, and a proper back-office to process the orders. Without all of the moving parts, the engine will not operate at full capacity and you will lose money. 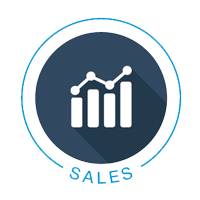 Contact us today to see how we can help you develop your sales engine.